This Sunday’s installment is with Stephanie, owner of Imperfectly Painted. This young lady is as sweet as the come. I followed her blog when I first started reading them, not even knowing Steph was living in the same city as me. We now get together ever so often for lunch, which always follows with some shopping…my kind of friend!! Check out her blog because her swatches and reviews wonderfully. Steph is a blogger you can count on to give her honest opinions. And with that, here is her A to Z of Me. No thanks, unless they meow or bark. Steph, my parents call me “Kitten Cat” though….very embarrassing. Disingenuous/entitled/ungrateful people and people who don’t return their shopping carts to the designated areas. Is it really that hard!?! Depending what is going on between 8-10am. W. What makes you run late? I’m such a stickler for time. I hate being late! They’re nice to visit, but I prefer aquariums. 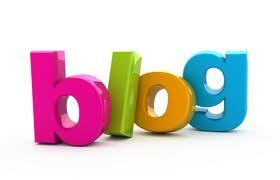 Steph blogs often and you will see some of her own weekly installment series. I enjoy my friendship with Stephanie. She is a delight to be around. Her blog is one of the first I read each day, as it’s like doing a quick check-in with a friend.